Why is my chicken breast so dry? and what can I do about it? 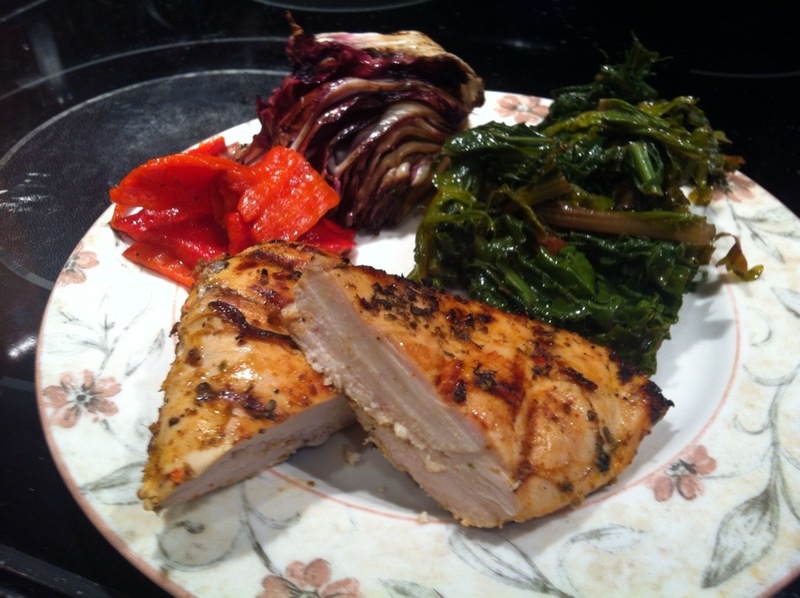 Weather you bake, fry, broil or grill chances are your chicken breast will be dry because it is so lean. The average size chicken breast roasted without the skin and boneless has approx. 4 grams of fat and about 30 grams of protein this is why it can easily dry out once cooked. There is not enough fat in the white meat to keep them moist. 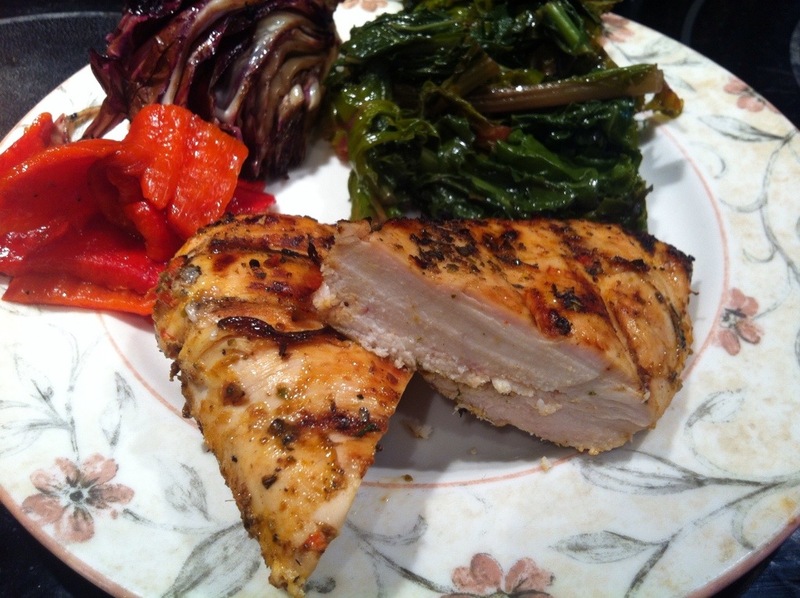 To follow are five suggestions for tender juicy chicken breast. 1. Brine your chicken breasts: brining is the number one most impressive way to get the best chicken breast. Add one tablespoon each salt and sugar mixed in cold water and submerge chicken breasts in it for about 30 minutes. After 30 min. 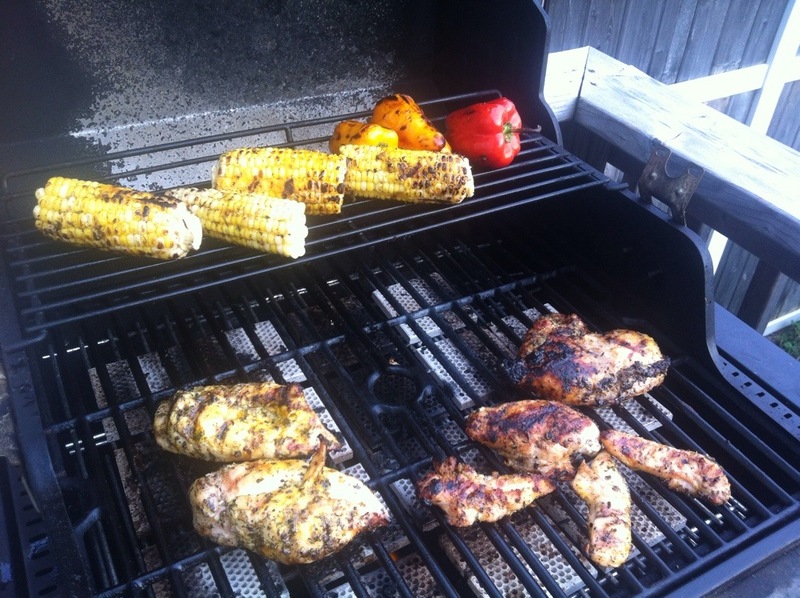 Drain water and pat down chicken with paper towel and let it sit in a strainer for about ten minutes, now brush chicken with olive oil, your favourite seasoning and grill on BBQ or broil in oven. 2. Marinade: put 4 chicken breasts in a large zipper seal bag. Meanwhile in a mini food processor add 2 cloves of garlic, 2 tablespoons olive oil, salt, pepper, oregano, juice of half of a lemon, juice of a whole orange, pinch cayenne pepper, 2 cloves and 3 tablespoons curry powder; spin a few times and pour entire contents in zip bag with the chicken and seal, refrigerate for 1 hour or up-to 4 hours. When ready to cook drain out excess marinade and allow chicken to come to room temperature before cooking. 3. Braise; put chicken breasts in oven safe corningwear and add two cups low salt chicken stock, add vegetables of choice such as potatoes, carrots, onions, zucchini etc, add cracked pepper, couple sprigs rosemary, 3 cloves of garlic smashed. Cover and bake at 400* for about 20 minutes. 4. Baste; brush chicken breasts with olive oil and season with salt and pepper or seasoning of your choice now put on a hot grill or under a hot broiler. In the meantime combine 3 teaspoons of balsamic vinegar , pinch salt, two tablespoons of olive oil and pinch dried oregano. As soon as chicken has cooked on one side, turn over now brush chicken with balsamic vinegar and oil mixture, once second side has cooked turn over chicken again and brush with more balsamic mixture turn off oven and let chicken sit for about 5-10 minutes and keep brushing with mixture. Take chicken out of oven when done and tent it with a piece of foil for another ten minutes. 5. BBQ trick: indirect heat method; brush chicken with your favourite BBQ sauce, chipotle sauce, Harissa sauce, sriracha sauce or any marinade of choice, heat your grill on high for about ten minutes, brush grates with oil and put chicken on grill, after about 4 minutes turn over chicken breasts which should have cooked with nice grill marks on that one side, after another 3 minutes on the other side, turn off the grill on that side of BBQ but leave the opposite burner on high, cover grill and let them cook for about another 10-15 more minutes, chicken breasts should be far away from the high heat side of BBQ… The grill marks on each side should have sealed in the juices.. Again as above it doesn’t hurt to tent the chicken breasts on a plate once ready. Please comment and let me know how things worked out for you. Note: Remember when brining chicken will not be salty if you allow then to drain properly and pat them dry with paper towel.